"Often we increase our stress by fretting our problems that are beyond our control. 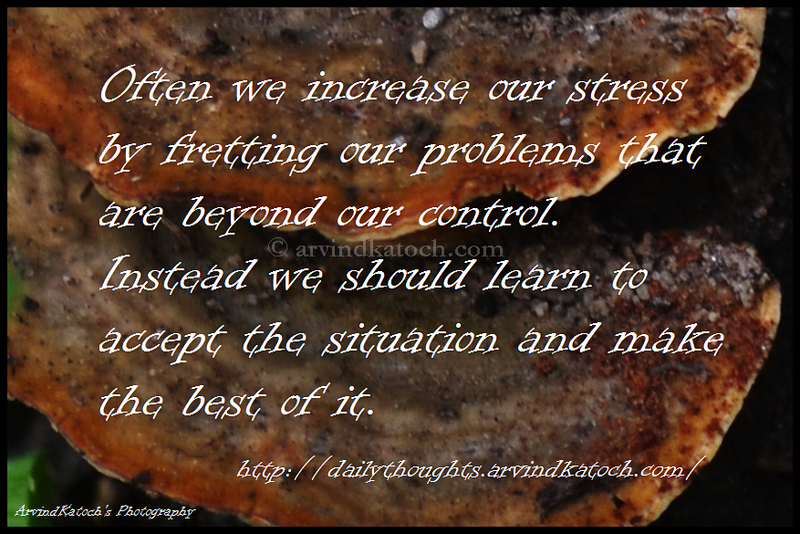 Instead we should learn to accept the situation and make the best of it." Meaning/Explanation- In life, we need to learn to live with many situations about which we can't do anything. By accepting these situations as such, we first reduce unnecessary stress from life and increase our productivity.